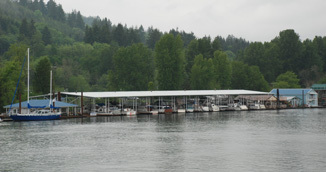 McCuddy's Big Oak Marina is located approximately 6 miles west of the Sauvie Island Bridge off Highway 30 at mile marker 17. 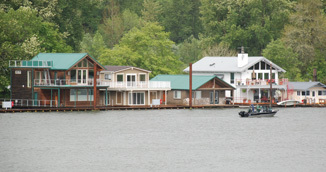 This unique marina is situated in the Multnomah Channel in a lovely country setting, and home to natural wildlife. 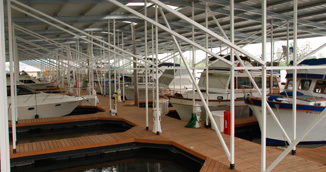 The marina features 25 houseboat and boathouse slips, plus open slips for recreational power or sail boats. Our new state of the art construction single bay, 40' covered slips are available now. Built to withstand all the Pacific Northwest weather conditions. The slips include metered 50 amp electric service, storage boxes, and dock wheels for easy docking. Additional amenities such as restrooms and showers, free ice, and secure gated customer parking. Floating home and boathouse space is available! !